Property Location With a stay at H TOP Calella Palace in Calella, you'll be minutes from St. Jaume Hospital and close to Calella Beach. 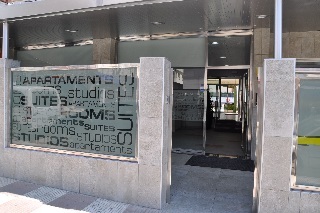 This 4-star hotel is within close proximity of Pineda de Mar Beach and Pau Casals Plaza.Rooms Make yourself at home in one of the 339 air-conditioned guestrooms. Wireless Internet access (surcharge) keeps you connected, and satellite programming is available for your entertainment. Private bathrooms with bathtubs feature complimentary toiletries and hair dryers. Conveniences include phones, as well as safes and desks.Rec, Spa, Premium Amenities Don't miss out on the many recreational opportunities, including an outdoor pool, an indoor pool, and a sauna. Additional amenities include wireless Internet access (surcharge), an arcade/game room, and gift shops/newsstands.Dining All-inclusive rates are available at this hotel. Meals and beverages at onsite dining establishments are included in all-inclusive rates. Charges may be applied for dining at some restaurants, special dinners and dishes, some beverages, and other amenities. Enjoy a meal at a restaurant, or stay in and take advantage of the hotel's room service (during limited hours). Relax with your favorite drink at a bar/lounge or a poolside bar. Business, Other Amenities Featured amenities include a 24-hour front desk, multilingual staff, and luggage storage. Self parking (subject to charges) is available onsite. The HTOP Calella Palace hotel is located just off in the beach in Calella. The all-inclusive resort is in a great setting surrounded by a number of attractions including the Pineda de Mar Beach and Pau Casals Plaza. The hotel is equipped with a number of facilities including a large outdoor swimming pool with a separate pool for children. Surrounding the pool is a large sun terrace equipped with sun loungers. The hotel also features an indoor pool and a roof top terrace with plunge pool. The HTOP Calella Palace provides guests with a wide range of recreational and relaxing activities including a sauna, an arcade and games room with billiards table and a children's club. Guests will also find a wide selection of activities in the surrounding area including waters sports such as scuba diving and windsurfing, tennis courts, bike rental, horse riding and parasailing. *Official star rating 4** Location The Calella Palace Hotel is just 300 metres from the nearest beach in the resort. Or why not take your pick of blue flag awarded beaches in Calella, for a day of sun worshiping in clean and safe surroundings, ideal for families. Water sports on offer include parasailing, jet skiing and wind surfing or you could join in some of the beach games during your stay at the Calella Palace Hotel. Calella is within easy reach of the bustling resort of Lloret Del Mar where you can visit the Marineland Aquarium with the kids or check out the vast Water World Aqua Park with many thrilling chutes and rides to keep the whole family busy on your holidays to Costa Brava. For a great day out on your holidays, Calalla is not far from the impressive city of Barcelona where you will find the famous Ramblas, Gaudi architecture and plenty of shops to satisfy the shopaholics. If you're into golf, head to the PGA Catalunya golf course or try one of the 3 professional courses in Lloret de Mar. While you're there you may want to checkout Verdaguer Cultural Centre where you can see relics excavated from the local Puig de Castellet Iberian settlement, dating back to 250 BC. You could also hire a bicycle or a car on your Calella holidays and explore the coastline or head inland to discover the pretty inland villages and vineyards, so book now Accomodation Twin/double will have two, three or four beds All have - balcony/terrace - bathroom/shower - WC - satellite TV - telephone - safety deposit box - air conditioning Please note Some facilities payable locally In reference to the new tourist tax for Catalunya introduced by the Catalan Ministry all guests staying in any property in Catalunya area will be charged between 0.5 - 2.5 per person per night with a maximum of 7 nights depending on the type of establishment on the spot by the hotelier except people aged 16 or under. Price includes VAT. Eating and Drinking The new and improved all-inclusive concept includes **ALL-INCLUSIVE PREMIUM** MEALS All meals are served buffet-style in the hotel's buffet restaurant. DRINKS Unlimited locally produced wine, beer, soft drinks and water served with meals. A selection of locally produced alcoholic and non-alcoholic drinks in the hotel's bar from 10 00 00 00. **A limited selection of premium brand drinks including soft drinks, Ballantine's Scotch Whiskey, Eristoff Vodka, Larios Gin, Bacardi Rum, Soberano Brandy and Bailey's Irish Cream. ** SNACKS Hot and cold snacks are available from 10 00 00 00 outside of meal times only. Hot snacks are not available after dinner, cold snacks can be found in the bar. Ice cream and ice lollies for children are available from 10 00 18 00. ENTERTAINMENT TOP Entertainment programme providing activities for adults, sports, shows and dance. TOP Mini Club for children providing many activities, mini-fiestas, afternoon snacks and the HTOP Hotel's mascot will visit the hotel every week. Guests can also take advantage of half-price tickets to the family show Medieval Castle of Comte de Valltordera' which also includes dinnerFrom the date of: 31/10/2012 City Tax 1,00 Eur. per person per night for adults over 16 years old, to be paid directly upon check-in (maximum 7 nights per person). 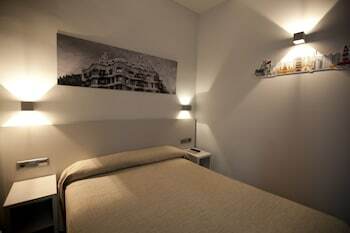 This beach hotel enjoys a frontline setting on the Paseo de la Ribera in the stunning tourist resort town of Sitges. The hotel is located in the heart of the village, in close proximity to a boundless array of entertainment venues. The hotel boasts a sophisticated architectural style, blending contemporary design and timeless elegance. The hotel offers the perfect setting for travellers who are looking for a relaxing beach holiday close to the heart of the entertainment. The guest rooms are beautifully decorated, offering a relaxing haven in which to unwind in comfort at the end of the day. Guests are invited to savour the sumptuous culinary delights the hotel's delightful restaurant has to offer.From the date of: 31/10/2012 City Tax 0,50 Eur. per person per night for adults over 16 years old, to be paid directly upon check-in (maximum 7 nights per person). Property Location When you stay at Hotel Gran Sol in Sant Pol De Mar, you'll be on the beach and convenient to Calella Beach and St. Jaume Hospital. 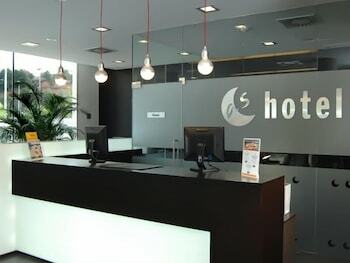 This beach hotel is within the vicinity of Pineda de Mar Beach and Pau Casals Plaza.Rooms Make yourself at home in one of the 44 air-conditioned rooms featuring minibars. Rooms have private balconies. Complimentary wireless Internet access keeps you connected, and satellite programming is available for your entertainment. Private bathrooms have complimentary toiletries and hair dryers.Rec, Spa, Premium Amenities Enjoy recreation amenities such as an outdoor pool or take in the view from a garden.Dining Enjoy a meal at a restaurant, or stay in and take advantage of the hotel's room service (during limited hours). Quench your thirst with your favorite drink at a bar/lounge.Business, Other Amenities Featured amenities include complimentary high-speed (wired) Internet access, express check-in, and complimentary newspapers in the lobby. This hotel has 3 meeting rooms available for events. Free self parking is available onsite.